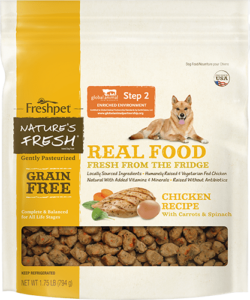 Nature’s Fresh Chicken Roasted Meals is a great addition to the Freshpet line! A great grain free alternative with vegetables right in the chunks. Highly recommended.